Denver has tested its fourth gunshot detection system off East Colfax - Denverite, the Denver site! Apr. 09, 2018, 6:55 a.m. Gunshots piercing an otherwise quiet night might not be so shocking for Denverites who hear it often. Neighborhoods with the most gun violence tend to report it less. That’s according to Denver Police Lieutenant Aaron Sanchez, who set out in the East Colfax neighborhood with a team of officers on Wednesday to intentionally fill the evening air with live fire. They were running tests on a newly-activated system that pinpoints gunfire in a given area. 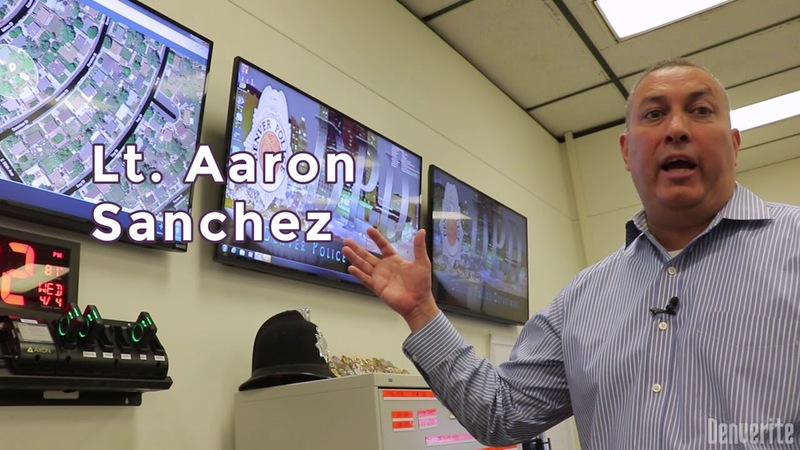 Sanchez says the system, called ShotSpotter, will help officers respond more quickly and effectively to these incidents that might otherwise have been missed. The East Colfax ShotSpotter is the city’s fourth so far. DPD has been using the technology since 2015, placing them around areas with statistically high occurrences of gun crime. The system utilizes an array of acoustic sensors that relay the location of shots-fired to officers within minutes of detection. While DPD spokesman Sonny Jackson couldn’t comment on the exact location or range of the other three ShotSpotters around the city, he said a large portion of Denver is covered by the systems. The installation comes as the national debate over gun violence has come to a head, and as other cities and even schools start adopting technological measures for responding to shootings. Much of the discussion has centered around who has guns and what kinds of guns are available, but rollouts of technology like ShotSpotter would happen regardless of the political backdrop. A similar system was recently installed and tested in a New Mexico school that can detect gunfire, lock the building down and call the police, all at once. Lt. Sanchez said it’s just part of the job.